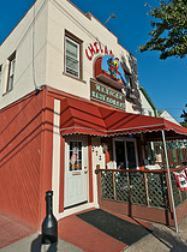 Sunday September 22nd Chilangos will be conducting a fundraiser event at parking lot . The sale of Mexican food and donations will be used to fix one of the Highlands First Aid Squad ambulances. Someone explain this to me. Why didnt the town buy ambulance for the First Aid Dept.? They certainly thought we could afford a new fire truck when the HFD not only had enough of them already, but has hundreds of thousands dollars in its bank account. So, while its great what Leo at Chillangos is doing, why should he have to. The HFD certainly didnt need to beg for a brand new shiney fire truck but the First Aid does? I think the person to ask this question of is Congressman Frank Pallone. Washington, D.C. – Congressman Frank Pallone, Jr. (NJ-06) today announced that the Borough of Highlands Fire Department has been awarded an Assistance to Firefighters Grant (AFG). Highlands Fire Department will receive $665,000 to purchase a new fire truck thanks, in part, to a request by Congressman Pallone. The Highlands Fire Department is an all-volunteer fire department. Currently the fire department uses two trucks that are more than 25 years old. The funding will go towards the purchase of a newer and safer ladder truck. “The need for this fire truck is clear, and thanks to this federal grant the volunteers of Highlands Fire Department will have an updated vehicle that will improve the safety of the firefighters and the residents of Highlands,” said Pallone. Congressman Pallone was also successful in obtaining a grant for the Atlantic Highlands First Aid Squad. Why Highlands First Aid Squad did not receive federal assistance, I don’t know. I’m sure Mr. Pallone does. So, please, address you questions to him. Regardless, kudos to “Chilangos”. They are good citizens, and their and food and service can’t be beat. Pallone has given nothing to Highlands in federal dollars in comparison to the surrounding towns! He shows up at every event and photo op in town but nobody calls him on it. So sick of that man! At the risk of deviating from this column’s theme, an ode to “Chilangos” and a heart felt thank you to the volunteers of our First Aid Squad, who give of their time and effort ensuring the safety and well being of our residents, lets just say, and hope that the Congressman’s aides read this blog, that after all is said and done, we know he is a master politician. Photo ops and promises are his stock in trade. When/if he decides to be a candidate for reelection we can let him know that we are not thankful for the crumbs when our neighbors are getting the whole loaf. Well thats all nice and good. But over 600,000 could have went to purchase some pretty nice brand new ambulances. Its nice that the town can put out fires, but if it cant transport the injured to a hospital then whats the point. Also, perhaps if the HFD didnt use the fire truck as an “amusement” and toy during the clam fest, it wouldnt have as much wear and tear on it. Speaking of, in a town this small, how much “wear and tear” and mileage does a fire truck really get on it. And if its really that substantial perhaps its because its being used for things other than fighting fires? For information regarding the Highlands NJ Fire Dept., go to their Facebook page.